Select from Waxaway's complete range of Salon Professional quality after wax care products. After Waxing Oil with all Natural Tea Tree Oil. View. After Care Lotion with Mango Witch Hazel. View. For use with any Waxaway wax. 60 waxing items in one convenient box. 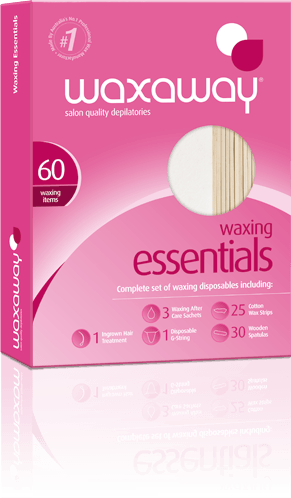 You’ll always be prepared to undertake the perfect wax with Waxaway’s Waxing Essentials! This compact and convenient box contains 60 waxing items from wooden spatulas and cotton strips through to after care treatments to ensure you achieve meticulous results. For use with any Waxaway Wax, you’ll never be unprepared again! Determine direction of hair growth and spread a thick oval shaped layer of wax in direction of hair growth. 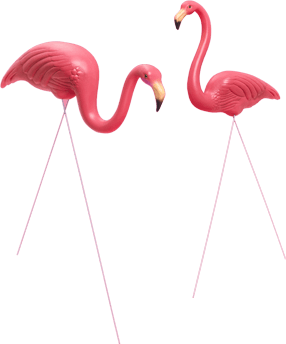 Wait until wax no longer sticks to fingertips; don’t allow it to set hard. Hold skin taut with one hand and gripping on to the edge of the wax, quickly pull back in the opposite direction of hair growth as close to the skin as possible.